ENGEOCOM DISTRIBUTION PARTNERS distributes premium cosmetics and owns mono-brand retail chains throughout the Russian Federation, Ukraine, Kazakhstan, Belarus, Georgia, Armenia and Azerbaijan. 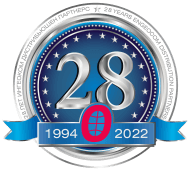 In 2019, ENGEOCOM DISTRIBUTION PARTNERS will celebrate 25 years of successful operations in Russia. ENGEOCOM DISTRIBUTION PARTNERS exclusively distributes world famous premium brands «CHI», «Biosilk» (FAROUK SYSTEMS Inc., USA), «CARMEX» (Carma Labs Inc, USA), «WAMILES&OTOME» (WAMILES COSMETICS Inc., Japan) and The Art of Shaving (USA).